As a child I recall being asked, ‘What do you want to be when you grow up?’ Although manta ray scientist was not yet on my list (it would have been had I known that such a job existed), I knew that any career I followed would have to involve nature. I was passionate about the natural world; it both fascinated me and stirred a deep curiosity within me. Growing up in a UK woodland area, I spent countless hours exploring, turning over every rock to discover what may be lurking beneath it, or wading through ponds in search of newts and frogs. I wasn’t aware of it at the time, but looking back now I realise there has always been a biologist within me. In the pursuit of my passion I learned a heartbreaking reality: many species and habitats are under immediate and severe threat around the world, and countless animals are suffering unnecessarily cruel treatment at the hands of human beings. My innocent mind couldn’t comprehend why other people didn’t share my connection with nature, a deep love and respect coupled with an intense desire to conserve it. Rather than closing my eyes to this painful reality, I was compelled to try to understand why this was happening and to do all I could to address it. I don’t believe I ‘became’ a conservation biologist, I believe it has always been with me – my calling. Nature has many wonders, but there is something mysterious about the ocean that has always fascinated me, constantly pulling me in and guiding my career choices. After graduating from Manchester Metropolitan University with a first class honours degree in ecology and conservation, I landed a position with the Maldivian Manta Ray Project funded by the Save Our Seas Foundation (SOSF). My life as a manta ray scientist had begun! 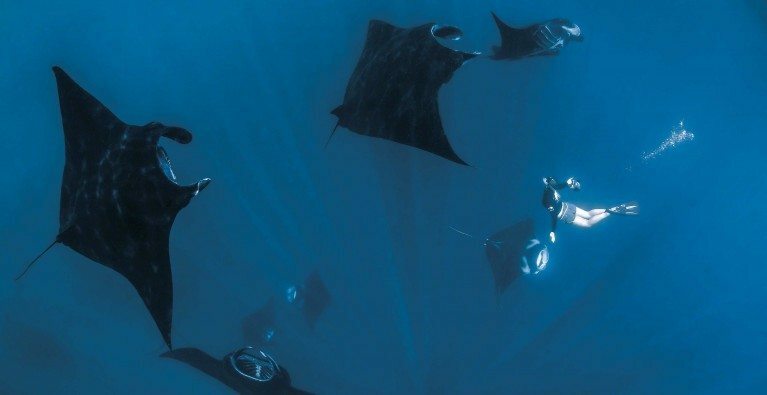 I found working with manta rays to be incredibly rewarding. For me, interacting with a manta is an experience beyond all others. These peaceful and gentle giants are extraordinarily intelligent, curious and trusting of humans (at times to a fault), and it was hard to comprehend that they are classified as fish. 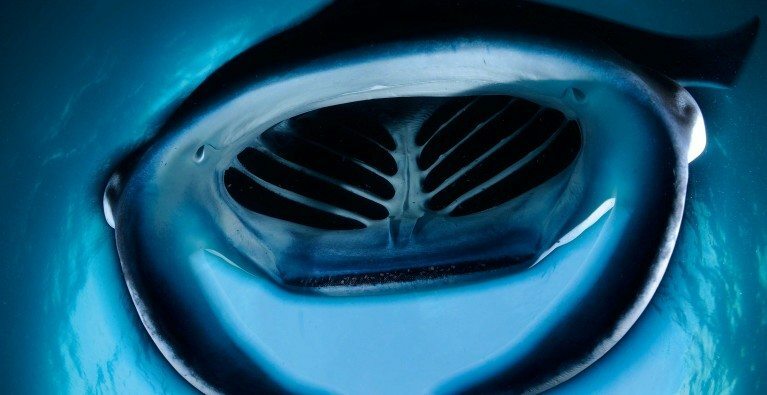 The inexplicable ‘knowing’ behind manta ray eyes caught my attention and I have been captivated from the first moment I experienced a manta observing me.